In the last decade or so, 3-D printing has experienced a surge in popularity as the technology has become more precise and accessible. Now, researchers from the University of Saskatchewan are looking at how we can use 3-D printing to help damaged nervous systems to regrow. However, this process is not perfect; there are limited donor sites for nerve repair, and even successful grafts often only restore a portion of the nerve's original functionality. In order to improve nerve regeneration, a combination of 3-D printing and biotechnology may be the answer. 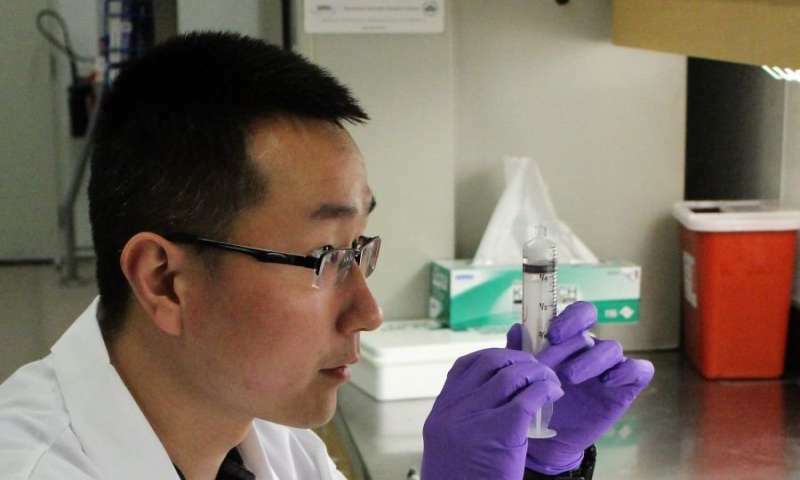 Liqun Ning, a postdoctoral fellow in the Tissue Engineering Research Group led by Daniel Chen at the University of Saskatchewan, has spent the last few years investigating how 3-D bio-printing can be used to help with nerve cell regeneration. His solution involves combining engineering and biomedicine in order to create scaffolds that can guide the growth of nerve cells across large damaged areas. "My background is actually mechanical engineering, but tissue engineering is the combination of engineering and biomedicine together. So I thought, at very beginning of my Ph.D. study, maybe I can use my knowledge, my background, and provide techniques to help people in the biomedical area," said Ning. Ning's work, as was published in his recent paper, involves using Schwann cells, supporting cells in the nervous system that can force nerve cells to grow properly, in a 3-D printed hydrogel-based scaffold in order to promote and guide the regeneration of the damaged nerves. 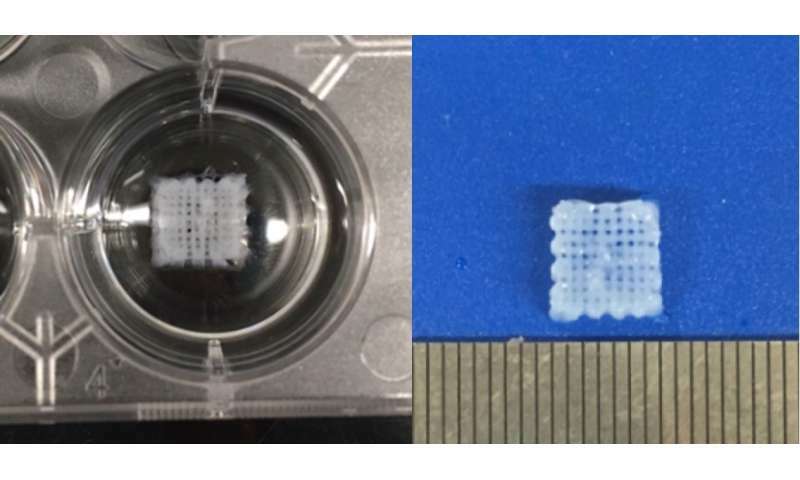 Traditionally, testing techniques like micro-CT imaging would be used to image samples like these bio-printed scaffolds. However, one of the steps in this testing method is to freeze dry the samples. This freeze-drying process may partially damage the scaffolds, meaning that the structure that is seen from the images is not precisely the structure that the intact scaffolds would have. This imaging process can also take several hours to scan one sample. At the Canadian Light Source, the samples can be imaged without any freeze drying, preserving the true scaffold structure. The process is also much faster, taking only about 10 minutes to scan one sample. At this point, Ning still has some work to do before this method sees regular medical usage. He wants to work out a few problems in the scaffolds; in particular, he wants to try out some different techniques to better direct nervous system growth. Then there will be in vivo trials, testing in live animals to ensure everything works as expected in a living organism, and clinical trials to test with people. However, Ning is hopeful that the process will be relatively quick. "Just after four or five years of research, this area has grown so fast. A lot of new techniques have emerged every year. I believe with contributions from people working in the area of biomedicine, biology, material science and engineering, problems of peripheral nerve regeneration as well as other tissue engineering applications can be solved in the near future."